Whats Waterfire ??? I didnt know this term until I visited Providence last week. 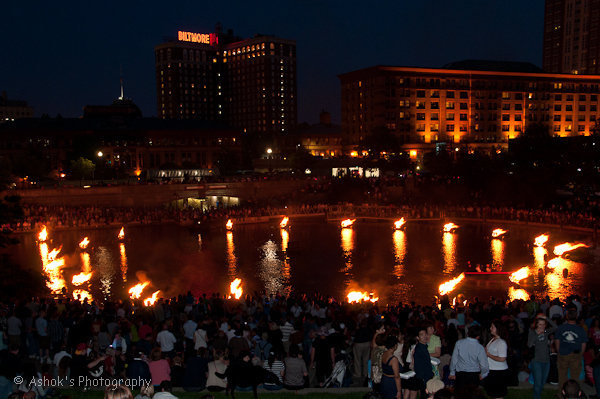 Waterfire is many braziers filled with blazing logs floating along the river/canal in the center of the city. Adding to this spectacle is the loud music and Gondola rides. Performance artists/groups are set up along the river, in the streets and parks.This brings a complete festive atmosphere to the event. The restaurants are jam packed, reservations are made probably 2-3 days earlier. I couldn’t find a reservation in the Water Place restaurant until 9PM on the day of the event. 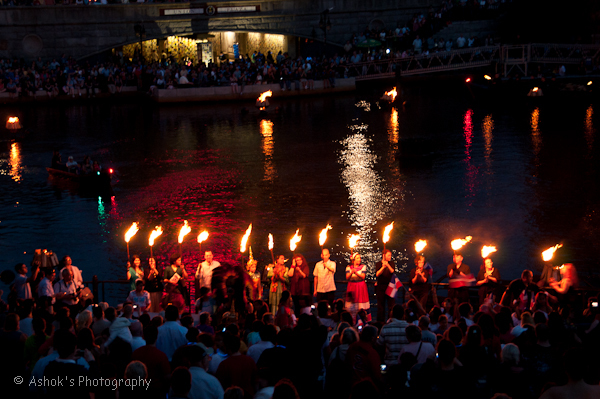 Waterfire is a non-profit event sponsored by private companies and volunteers. What I found most attractive event is the TD bank sponsored ballroom dance floor. 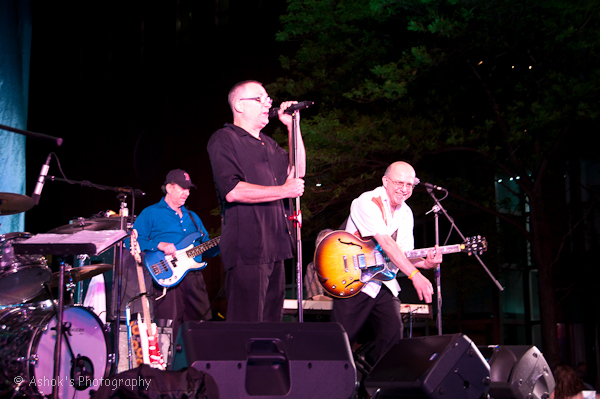 Oh yea, with live band performance. 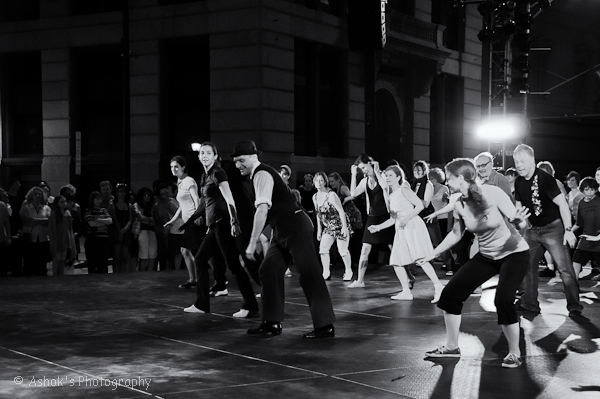 The stage is electric, talented dancers and a complete fun package. 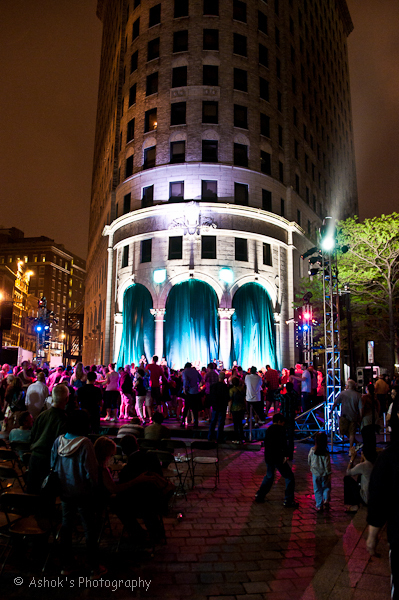 If you plan a trip to Providence, pls make sure its on the waterfire day. All the hotels gets booked very soon. Be sure to make reservations weeks before the event.